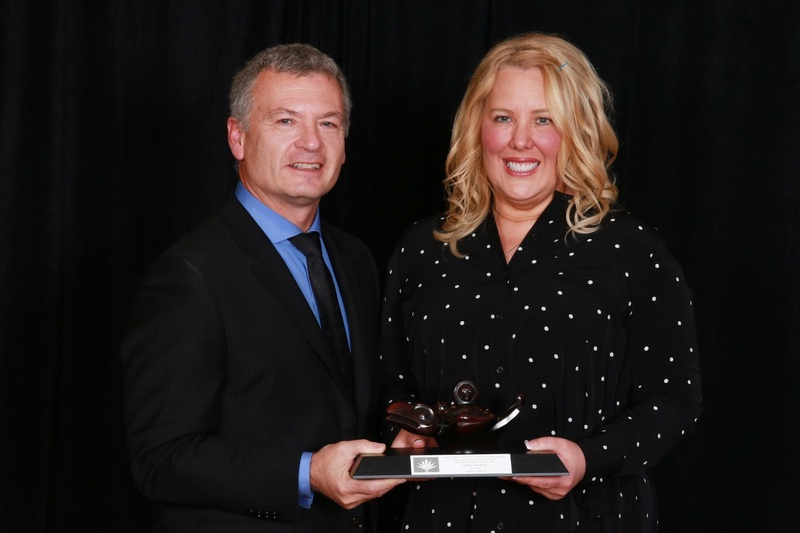 Karen Hamberg, Vice President of Natural Gas Industry and Government Relations at Westport Fuel Systems, has been presented with the United Way President’s Award of Distinction for her exceptional service to the United Way of the Lower Mainland. Selected in consultation with the United Way Board Chair and Executive, Karen was honoured at the annual Scotiabank Community Spirit Awards in Vancouver on February 21, 2017. Karen has led Westport’s United Way campaign since 2003 in various capacities, spending the last 14 years as a champion for our Westport community and the communities where we live. Evidence of Karen’s passion and enthusiasm is reflected in the success of Westport’s employee-driven annual campaign and ongoing volunteer support of the United Way Community Schools Program. From modest beginnings, our annual workplace campaign has grown steadily and in 2016, Westport’s cumulative fundraising total reached nearly $1.34 million CDN. Karen serves on the United Way of the Lower Mainland’s Campaign Cabinet, a group of senior executive leaders who assist with fundraising from workplace campaigns. She has played an integral role in developing the Campaign Associates program and recruiting 40 additional people to supplement the United Way’s fundraising staff during the sixteen weeks of campaign. Karen has also been instrumental in creating and implementing the GenNext Cabinet which connects the next generation of influencers, motivators, and change-makers to build an impassioned community of United Way champions. The President’s Award of Distinction is the United Way’s most prestigious Spirit Award and honours community leadership. Past recipients include Stephen Toope, former President of the University of British Columbia, the Province Newspaper, and distinguished philanthropists Joe and Rosalie Segal. Karen is well-deserving amongst this distinguished group given her persistent, ongoing leadership and commitment to building a strong, healthy, inclusive community. An active volunteer, Karen is also Chair of the Board of Directors of Calstart in Pasadena, California and a Board Member of the Van Horne Institute at the University of Calgary. She was also named to Canada’s Clean 50™ for 2017 for her contributions to advance sustainability and clean capitalism. Congratulations to Karen Hamberg and the entire Westport team for this recognition.